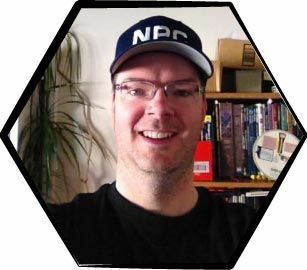 name, detail, and track every NPC in your campaign. It's Free. Three things that make my games terrible are lame NPC names, wasted game time finding NPC details, and taking scattered notes during sessions. 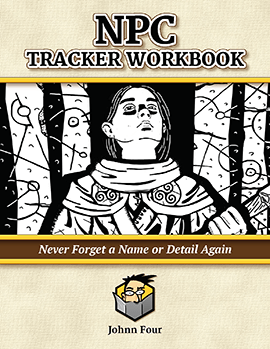 So I created this NPC Tracker Workbook to remove those thorns. 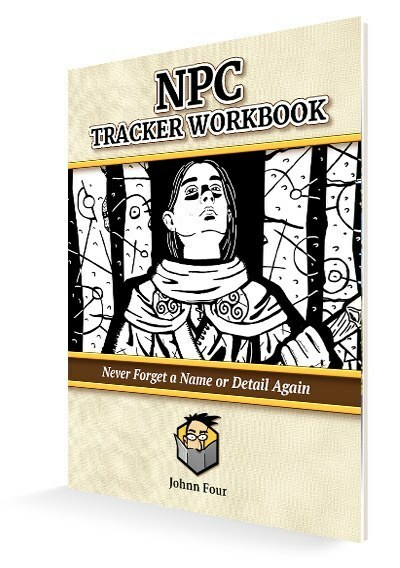 They'll help you get organized and run great NPCs. 10 NPCs per page. Big boxes to track each essential NPC detail. 24 pages plus blank worksheets to print as many as you want. 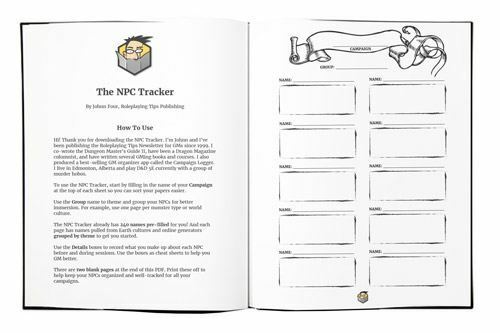 Get Your Free NPC Tracker!